Home » »Unlabelled » This dog was tortured to the bone. 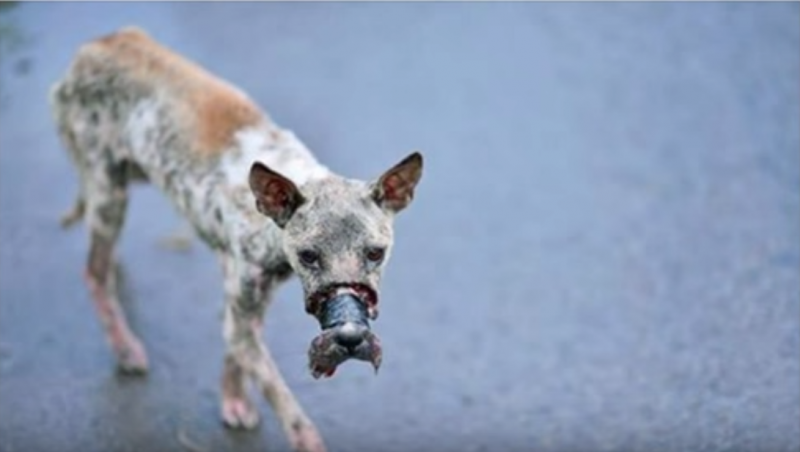 When the tape was removed, it tore his rescuer’s heart. This dog was tortured to the bone. 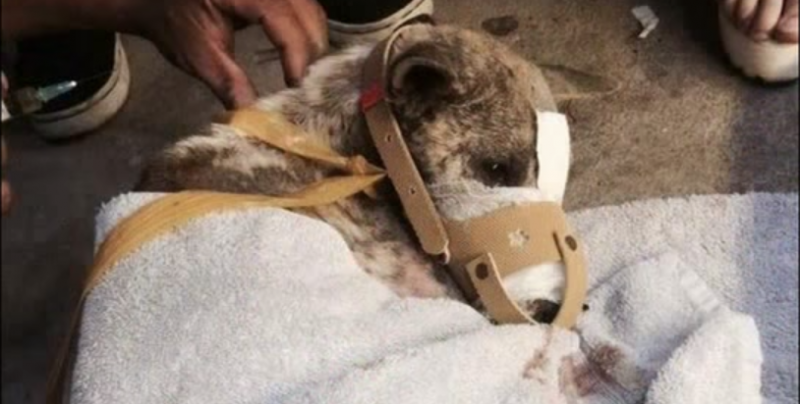 When the tape was removed, it tore his rescuer’s heart. 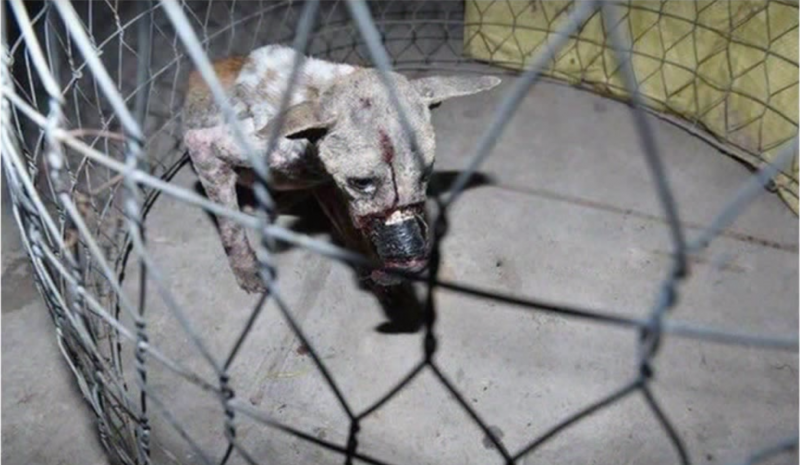 The cruelty that some people commit against animals is incredibly disturbing. 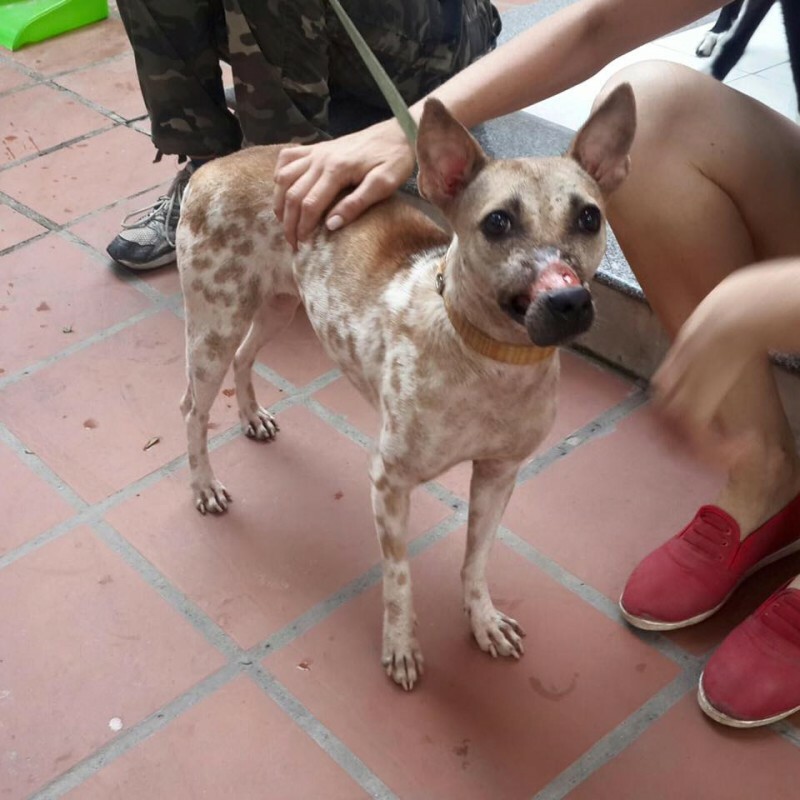 But what animal rights activists in Vietnam recently discovered renders one speechless: a dog whose mouth had been tightly wrapped shut with adhesive tape. According to his condition he must have lived with this torture for some time. The animal cowered with what must have been unbelievable fear. It had obviously had the worst possible experience from its encounter with humans. The veterinarian had to cut the adhesive tape away very carefully. It had already dug deeply into the flesh. The animal's pain must have been unbearable. 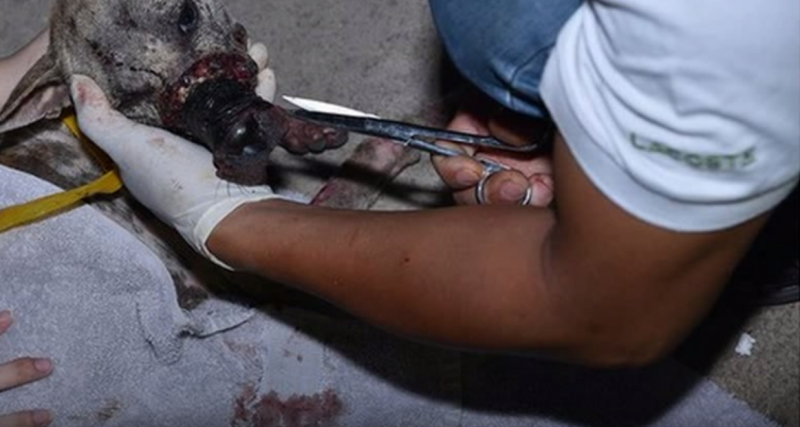 When the tape had finally been completely removed, one saw for the first time that it hat cut through both fur and flesh until it reached bare bone. After the successful intervention, Lucky (so named by his rescuers) could eat again for the first time. After his meal, his nose was bandaged. The danger of infection was still significant. It took a couple of days, but soon Lucky was clearly better fed and could begin the healing process under the care and supervision of his rescuers. The tracks left behind by the tape on Lucky's mouth are unmistakable. But he is already much stronger and even lets himself be cuddled by his care team. So, lucky that he was rescued. Otherwise, he would have starved to death in misery. Hopefully, his tormentors will be held to account for their deeds before they can inflict these cruel methods on other defenseless animals.